My kitties are grown up now. Who would believe they are still alive, thriving, loving and so comfy in our home! I wish I was that way with plants :) But I"ll settle for taking good care of humans and pets :). Do you have pets at home? 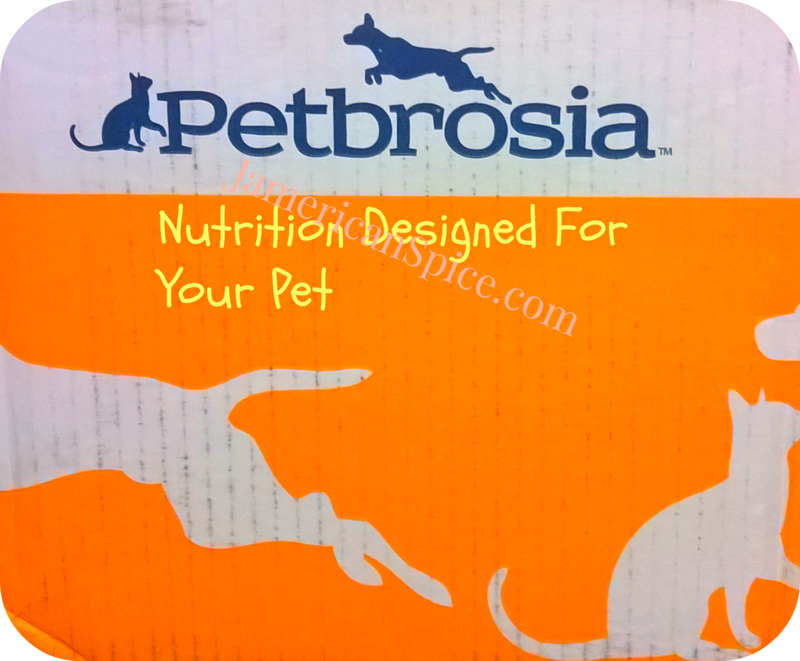 Then do enter the PetBrosia Pet Food Review + 3lbs Box Pet Food #Giveaway. I remember when we first started talking about getting a pet for our family. I was all for the dog, but my husband was more interested in cats and only cats. He does not like dogs. I love dogs, but I figured a cat would be okay too. We decided to wait and see how the kids would feel as they got older. They seem to like the cat idea and when our neighbor's cat became pregnant and two of the kittens survived, it seemed to be perfect timing and setting to get pets for our family. I researched and asked tons of questions about having kittens. We got to visit with the kittens when they were born, up until we were able to take them home after about about six weeks. Getting kittens is almost like bringing home a newborn baby. They seem to require much and little. I wanted them to have their first shots for good health for the future. Food, litter, toys and food bowls were meticulously selected. However the time has come for switching cat food, since they are no longer kittens. I've wondered what kind of foods I would switch to, and so it was just wonderful to have this opportunity from PetBrosia! I can introduce them to specifically made healthy cat food! I might not be able to take my sweeties to the vet every month, but I can ensure they are healthy and have good food and exercise just for them! Petbrosia Customized Nutrition for your unique pet. Petbrosia determines the right Petbrosia diet for your dog or cat based on their breed, age, weight, food allergies, activity level, and other needs you feel should be brought to our attention. At Petbrosia, we believe that feeding your pet the very best dog food and the very best cat food begins with all-natural meats, fruits, and vegetables. Petbrosia’s cat food delivery program is really easy and I like that I get to be involved in the process. I give my cats information and they provide the right blend for my cats nutrition. They also update your cats food according to the changing nutritional needs of your pets. I have both a male and female cat, and you are ask to give the gender of your pets while putting up their profile. Using your pet's breed, age, and weight, Petbrosia will create a pet food diet specifically for your pet's unique health needs. Your pet's custom nutritional plan will never contain corn, soy, cassava, or wheat, and always uses real chicken or salmon as the first ingredient. 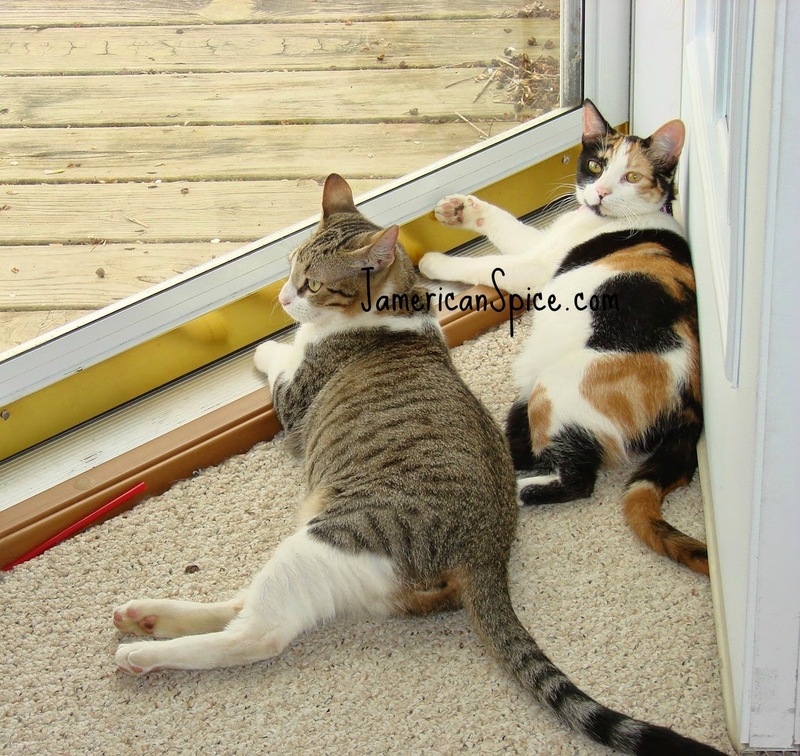 After completing my pet profile, we were sent the Chicken and Rice Formula Premium Cat Food. 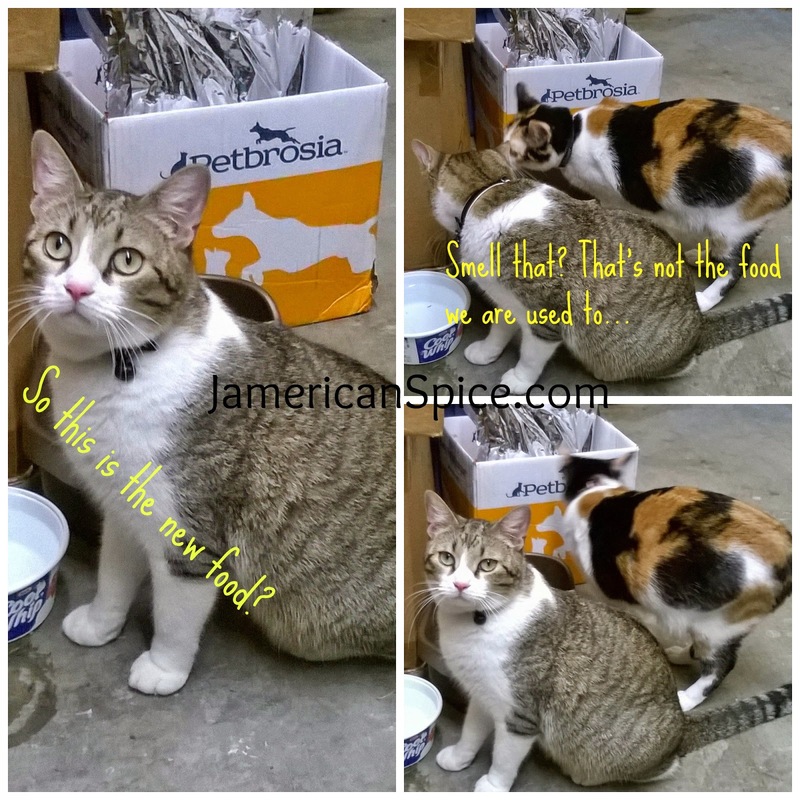 At first the my cats were all snotty about the new food, but they eventually dug in and seem to like it. Over the past few weeks, they've really enjoyed it and I'm very glad that they do, and wish I could do a recurring delivery each month from PetBrosia! PetBrosia also have a pet food comparison chart which is very helpful in my quest. 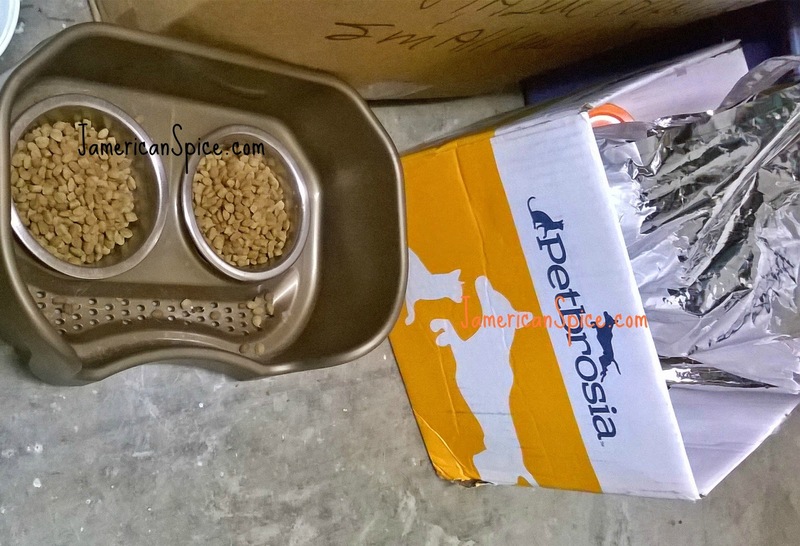 My cats and I recommend the cat food from Petbrosia :) They are also charity friendly! Petbrosia supports the welfare of less fortunate pets by donating a percentage of each sale to support the Rescue Bank, the national pet food distribution program for animal rescue groups and organizations. Giveaway: One of you lucky readers will get a chance to win a Free 3 Pound Box of dog or cat food! How awesome is that!! I wonder if my mother in law would like to try Petbrosia (like the name!). I'll send her the link so she can take a look and enter if she wants. Thanks for hosting! I would like my dog to try the the new grain free salmon option. I learned that the Omega-3 and Omega-6 fatty acids in Petbrosia promotes healthy skin and a shiny coat. I've learned that each bag of food is taloried to your dogs needs. Thanks for the chance to win! i have learned the food is made from quality ingredients that I would love to feed to my dog. They deliver the highest standards in health & safety! I have 5 brats(I mean cats) that live with me, tripping me daily. They like to eat besides making me stumble. Grain-Free Salmon sounds like something they would like. I'd like the dog pack, He could really use the Daily Pet Supplement- Skin & Coat. I have 2 big dogs, and the BIXBI Hip and Joint Chicken Breast Jerky would be good for them. i think my kitties would like the grain free salmon food.. I would like the grain free chicken dog food. I learned that they provide a natural blend that is designed with my pet's specific needs in mind.